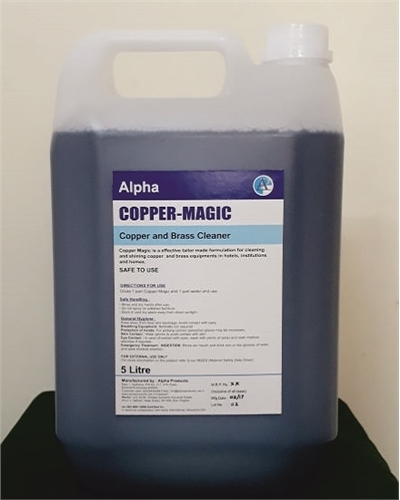 COPPER MAGIC is an effective tailor made formulation for cleaning and shining copper and brass equipment in hotels, institutions and homes. Dilute 1 part COPPER MAGIC with 1 part water and use. Scrub if required with green pad and then rinse with water. Eye Contact: In case of contact with eyes, wash with plenty of water and seek medical attention if required. INGESTION: Rinse out mouth and drink one or two glasses of water and seek medical attention. Store it in a cool and dry place and away from direct sunlight.